1750 Spider Veloce European version. 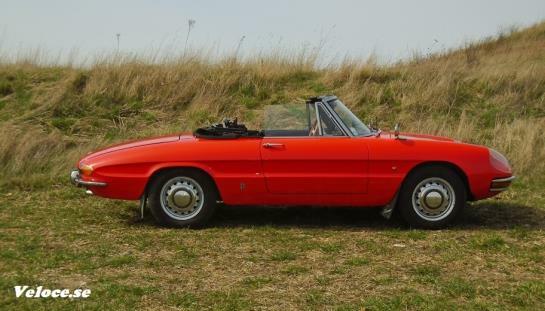 Much of the Giulia range was treated to a new (type 00548) 1779cc version of the twin-cam engine for 1968, and that naturally included the Spider. Considering the engine size would normally indicate a badge of ‘1800’ the new range might seem somewhat incongruously dubbed the 1750 to the non-Alfa enthusiast, but the 1750 badge clearly re-evoked the passions of Alfa’s glory years in the pre-war period. At the new range’s debut at the Brussels Motor Show on 17th January 1968, the new 1750 was displayed alongside a 1932 1750 to bring the point home. Despite the 1968 launch date, production records show that some over one hundred of the new 1750 Spider Veloces were actually made in 1967. The main reason behind fitting the larger engine was extra horsepower and, equally importantly, more torque. Despite its longer stroke, the new engine was still capable of revving very freely – a prerequisite of any Alfa Romeo engine – and many people regard the 1750 engine as the sweetest of any fitted to the Spider. With the new engine came another change: the half-heartedly applied name Duetto was dropped and the classic ‘Spider’ name reinstated. The new model was officially called the 1750 Spider Veloce. 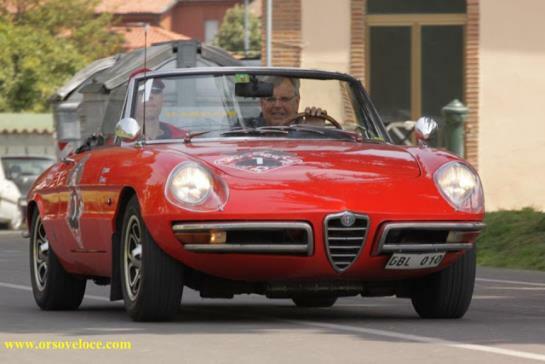 While the 1600 engine was kept in production for the Giulia saloon, it was entirely replaced in the Spider by the 1779cc engine – but only temporarily, since the 1590cc engine would be reinstated in the 1600 Junior in the 1970s. However a new engine was also offered from early June 1968, the near-square 1290cc engine (type 00530). This new base model was dubbed the 1300 Junior, and aimed at entry-level buyers – a job it pulled off very successfully as initially the majority of Spider sales, in Italy at least, were of the 1300 Junior. The new model was priced at 1,698,000 lire, a significant 22.5 per cent less than the 1750 Veloce. Mechanically the 1300 Junior mirrored the GT Junior coupe. Like the 1750, the 1300 was replaced by a Kamm-tail version.